Brisbane is known for its Summer storms. Are your stormwater drains able to cope with sudden downpours? Storm water can also create issues with your neighbours if your storm water isn’t discharged effectively. During a storm, rain is diverted from your roof through your gutter and downpipes into your storm water drains. Your property will also have a natural fall point where storm water gathers and then flows into the storm water drain system. 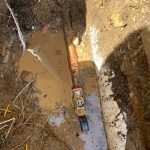 If your storm water is not flowing away as quickly as it should, or if you have water pooling in your property, then call TGPS Plumbing Service. 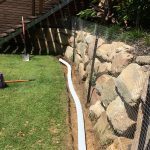 Our specialist knowledge in Storm Water Rectification is extensive through practical experience. A common issue we rectify relates to seepage of ground water into your home. 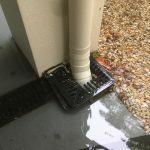 We can provide a complete service to rectify this issue through digging down to below footing level, installing a 100mm aggi line, applying a waterproofing membrane to the blockwork of your house, and then filling with 20mm gravel to the surface level to prevent water entering your dwelling. We can also review your current drainage, clear any blockages, and create clear drainage plans for the best possible drainage of your property – taking into account your garden design, land slope and property location. We won’t just move your pipes – we will work out what will give you the results you are looking for. And if your property has older clay storm water pipes, you may find they have cracked with age, or have become clogged with tree roots. 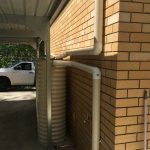 We can replace your old clay pipes with new PVC pipes that will last for decades, and connect them to the council storm water mains system.